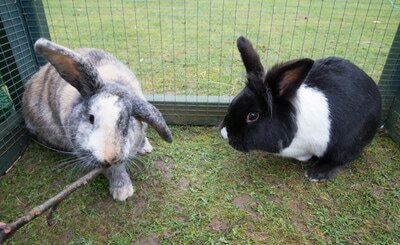 Arthur & Merlin are a pair of neutered males. Whilst we usually only rehome neutered male/neutered females pairs, these 2 boys do get along really well & we have not had any problems with them since they came into rescue. As you can see from the photos, they get along really well, so we are looking to rehome them together. 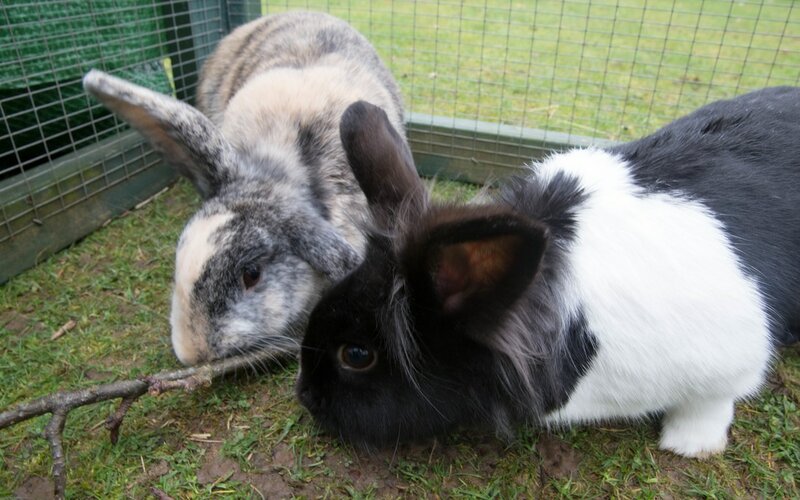 Arthur is a light brindled lop & Merlin is a black & white Dutch/Lionhead cross. Both boys were born Aug 2014. Both rabbits have also been vaccinated & microchipped. 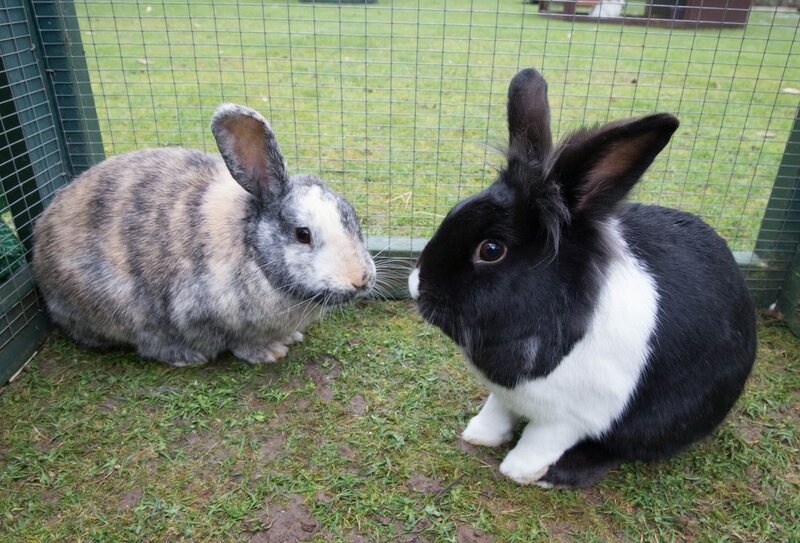 These rabbits are very gentle and easy to handle. 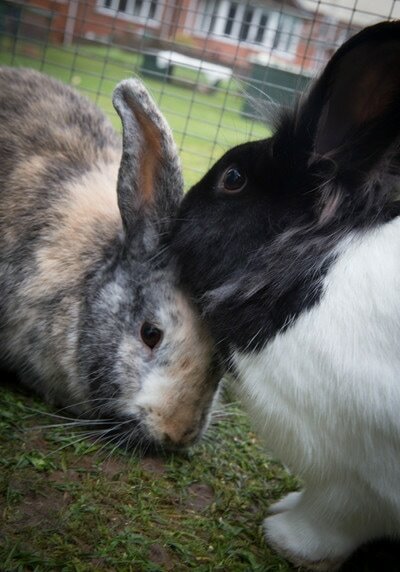 Thanks to Cheryl Keates for these wonderful photos.